Autumn is a season of change. Whether it’s the chill in the air or the nights drawing in, there’s something magical about the transition from summer holidays to thinking about festive celebrations. Autumn also signals the launch of new season interior design and colour trends for the latter part of 2018. With the festive day of ‘All Hallows Eve’ (Halloween as commonly known) and Guy Fawkes Night happening within a week of one another, we wanted to take a further look into the mysterious and entrancing 2018 colour trend – The Dark Side. 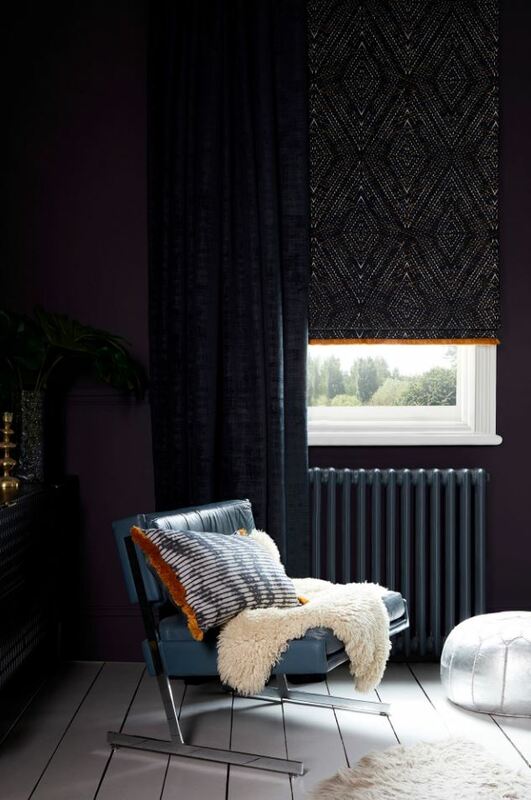 The ‘dark’ colour trend is becoming more popular than ever for Autumn 2018 and we are loving it! Soft light and fresh colours start to turn towards moodier and richer shades with a twist such as smoky greys, luscious greens, rich burgundies and midnight blues. 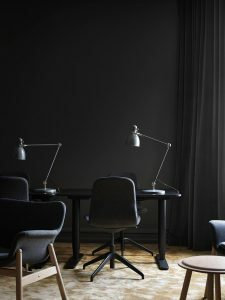 Pale colours may create a calm, neutral environment but darker tones lend themselves to more mature, moodier atmospheres. 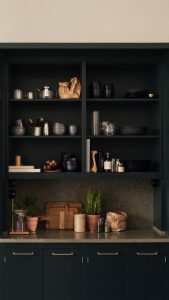 Dark-painted kitchen units look stunning with marble worktops and metallic brass fittings. Within bathrooms, black is transforming looks with industrial Crittall-style shower screens, black taps and bathroom accessories. If you love this trend but don’t feel brave to take it on, a gateway into this dramatic dark trend can be through textiles and accessories. 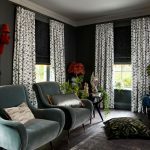 Abigail Ahern was one of the first to champion the dark aesthetic and recently launched a darkly glamorous curtain and blind collection for Hillarys. The collection boasts Abigail’s signature style of African influenced prints mixed with inky hues and luxe textiles. Other retailers such Rocket St. George and H&M Home are also embracing the hauntingly dark trend with their elegant accessories and homeware ranges. 1. Darker shades can accentuate colours and objects, making them ‘pop’. 2. Don’t fight the darkness! When faced with a small dark space, painting it in a darker shade adds depth and character. 3. Introducing deeper shades into your home can make a space feel sophisticated, luxurious and expensive. Need commercial or residential interior design advice? Email interiors@diversity.agency or call (0115) 9673767.